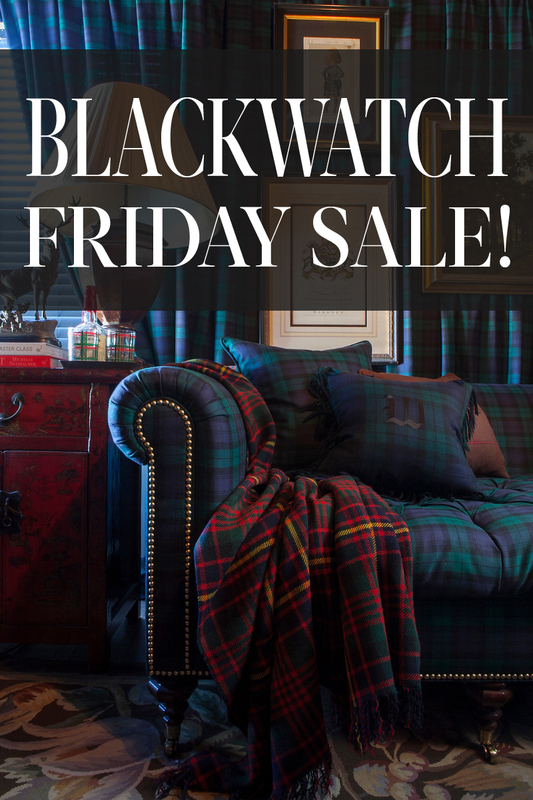 the adventures of tartanscot™: "Black Watch Friday Sale . . . "
"Black Watch Friday Sale . . . "
I hope you're busy being incredibly grateful and swimming in fellowship. But, if you need a break from the family - you could always hop over to SMW Home and enjoy private savings on a parade of gifts for yourself and others. Enter code "HOLIDAY" at checkout and save 20% on our selection of decorative pillows & throws, artwork, table service & barware, as well as gifts for both your gentlemen and your puppies. Private sale begins today - so get a head start on Santa. "One Does Not Live by Tartan Alone . . . "